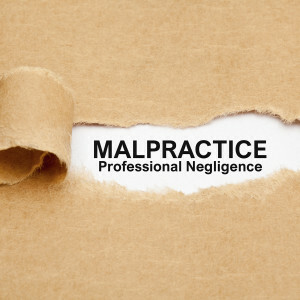 “With regard to claims for professional negligence, the Florida Supreme Court has explained that ‘where the negligent party is a professional, the law imposes a duty to perform the requested services in accordance with the standard of care used by similar professionals in the community under similar circumstances.’” Sunset Beach Investments, LLC v. Kimley-Horn and Associates, 42 Fla. L. Weekly D130a (Fla. 4th DCA 2017) quoting Moransais v. Heathman, 744 So.2d 973, 975-76 (Fla. 1999). 2) the standard of care for that professional (e.g, licensed, professional engineer). In a recent case, an engineering intern—not, a licensed, professional engineer–was sued for professional negligence. The Fourth District Court of Appeal held that an engineering intern is not a person that can be sued for professional negligence, unlike a licensed, professional engineer. Sunset Beach Investments, supra. The Fourth District explained that an engineering intern, by way of example, is not a professional because an engineering intern does not maintain a license. If the court treated an engineering intern as a professional than it would be walking down a slippery slope when it came to who is a professional and who is not. Instead of walking down that slippery slope, the court stated: “At a minimum, in a profession where a license exists, the existence of a license is a valid barometer for determining whether a person is classified as a professional. “ Sunset Beach Investments, supra.